Spent some time on holiday in Brighton and found this place by chance on the beachfront. Totally dog friendly. Loved it! Well behaved dogs welcome and children also welcome. 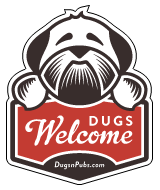 There are a total of 43 dog friendly listings in the Brighton category. Please log in, or sign up as a member to view all listings.